The video game publisher behind Pro Evolution Soccer and Metal Gear Solid has hired Ready10 for a UK-based brief, replacing two previous accounts held by Hill+Knowlton and Voltage PR. Konami has swapped Voltage for Ready10 for the retained account running its UK PR campaign activities. It follows a competitive pitch earlier in the year. The news coincides with the imminent departure of Voltage owner Steve Merrett, who told PRWeek he was unable to discuss his next move at this time. Ready10 has also been retained for a brief to support Konami’s EU headquarters in Windsor – that account was previoisly held by H+K. Earlier this month PRWeek reported that H+K had been retained by Activision, the video game maker behind Call of Duty and Guitar Hero, for its UK account. It's unclear whether client conflict concerns played a part in the ending of its relationship with Konami. The value of Ready10’s account has not been disclosed but is believed to be in six figures. 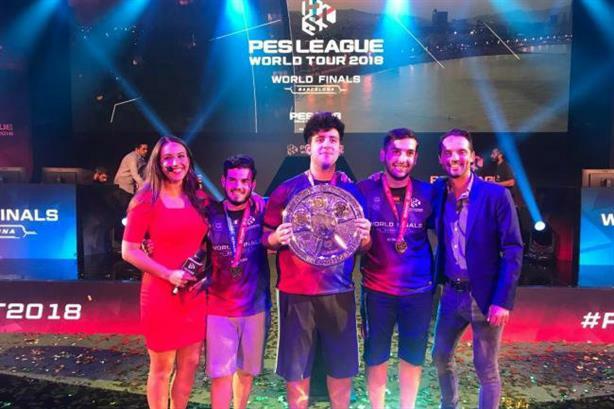 Ready10's first official event for Konami was this past weekend in Barcelona for the PES World League, the global 'eSports' tournament for Pro Evolution. The agency will also work on Gamescom in Cologne next month, and support the campaign for the 2019 version of Pro Evolution Soccer, which launches on 30 August. David Fraser, founder and MD of Ready10, said: "Winning Konami is a huge milestone for Ready10. Not only is Konami itself a huge heritage brand, but their video games are some of the most well-known across the world, meaning there is so much creative fun to be had. To win a competitive pitch for UK activation, as well as supporting the company’s European HQ office in its communication strategies, shows how much Ready 10 has evolved since we opened the doors in 2016." Konami’s other games include Zone of the Enders 2, Super Bomberman R and Hyper Sports R.
Ready10 was named New Consultancy of the Year at the PRWeek Awards 2017.